This application note was designed to show the state of the Pmod CDC1 button in the Arduino Uno serial monitor. Fritzing file displaying the connection of the Pmod CDC1 to the Arduino Uno. 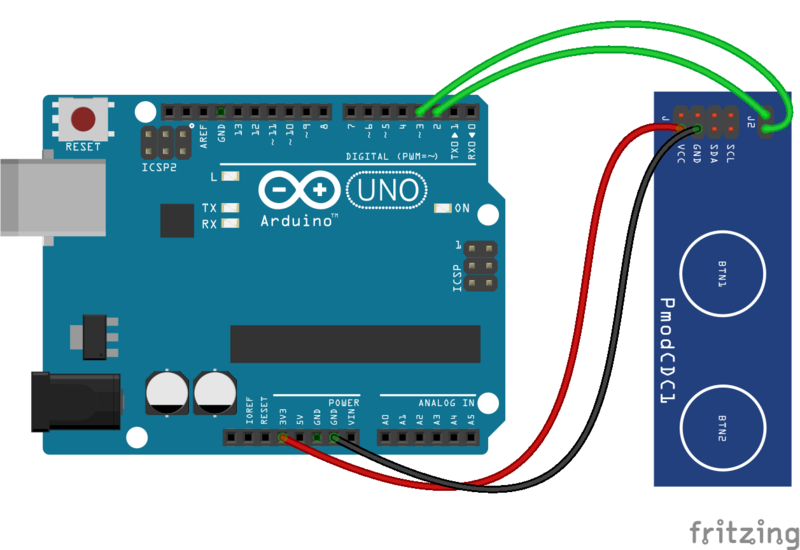 Fritzing image displaying the connection between the Pmod CDC1 and Arduino Uno. Using this code will show the state of the button in the serial monitor. * The state of the button will be show in the serial monitor.